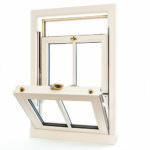 Affordable Windows and Construction is proud to use Ultion locks in all of its windows and doors, Why is this specific security brand a better choice for our customers in Slough and throughout the Berkshire area? It’s a tried and tested product that produces results. The advantages of Ultion locks are manifold. For example, a hidden attack lock springs into life when an attempted intrusion is sensed. A pin secures the central cam to stop the unwanted guest from gaining access to the property. Contact us for further details today. Multipoint locking mechanisms - and other well-respected forms of home protection - continue to be a popular choice for homeowners in the UK. But will they protect you from persistent intruders with the skills and tools needed to bypass such popular security systems? Explore the many features of Ultion locks today to find out how the system we use for our customers in Slough and throughout Berkshire goes the extra mile. 464000 homes a year are successfully burgled, but you can prevent yours from becoming another statistic. Did you know that most break-ins are achieved by snapping the lock? Gaining entry to a home in this manner is effective because it’s quiet. One of the benefits of Ultion locks is that they prevent this from happening. Stay better protected. Call ACW today. Another one of the many benefits of Ution locks is that they are almost impossible to break. Each one is made from molybdenum - a super-strong alloy that is most commonly used in the construction of military aircraft. It is even stronger than an equivalent product made from steel. Ultion locks are almost impossible to melt and can withstand incredible pressure. This means your doors and windows will be better protected, as intruders will lack the strength or tools needed to bypass your market-leading locking systems and gain entry to your Slough home. It doesn’t matter what product you choose from our portfolio. You’ll be able to buy with peace of mind, knowing that the locking system included as standard will protect you. 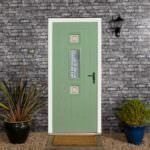 Would you like to discuss the benefits of Ultion locks with us? Call or email our team today for advice. You’ll be surprised at just how much an Ultion lock can do. Read on to find out why Affordable Windows and Construction uses this brand in all of its doors and windows. Even though something is unlikely to happen, it’s still better to protect yourself. Even a 1% chance of a break-in occurring is an unacceptable risk and you want to protect your family from all possible methods of break-ins. Although there is less than a 2% chance of someone gaining entry to your home by picking or bumping a lock, it could still happen. An anti-pick pin will be included as standard with your purchase when you choose ACW. Another one of the surprising - but also welcome - benefits of Ultion locks is that they from hardened steel. This metal is placed at strategic points throughout the system to prevent intruders from gaining access by drilling. Again, although the likelihood of someone trying to force entry to your home in Slough by drilling is reduced, you can’t really afford to take a chance. 13% of burglaries are conducted this way and its better to be prepared. 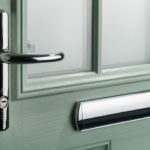 Why is Security Important for Double Glazing? You don’t want your locks to seize up because debris has accumulated inside. This could leave your Berkshire home vulnerable to attack. Another one of the benefits of Ultion locks is that they have a self-cleaning capability. You heard that correctly. Ultion locks are contoured in a unique way that means unwanted debris is removed. This means that your lock won’t be subjected to mechanical problems that might otherwise give intruders the green light. Whether you need new doors, windows or a conservatory, you’ll be able to enjoy the full benefits of an Ultion lock when you choose Affordable Windows and Construction for your project. Call or email us to find out more. You can also get a free online quote for almost all of our products and as many times as you need to. It takes just two minutes to use our free design tool.